There has been much debate in recent years about the impact of digital advances on traditional marketing strategies such as PR. Certainly, a shift has taken place in the B2B sector as social media platforms and technology have redefined the approach businesses take to engage and influence potential customers. However, despite a transition to a predominantly digital-first approach, old-fashioned methods can still play an integral part in any B2B marketing strategy. 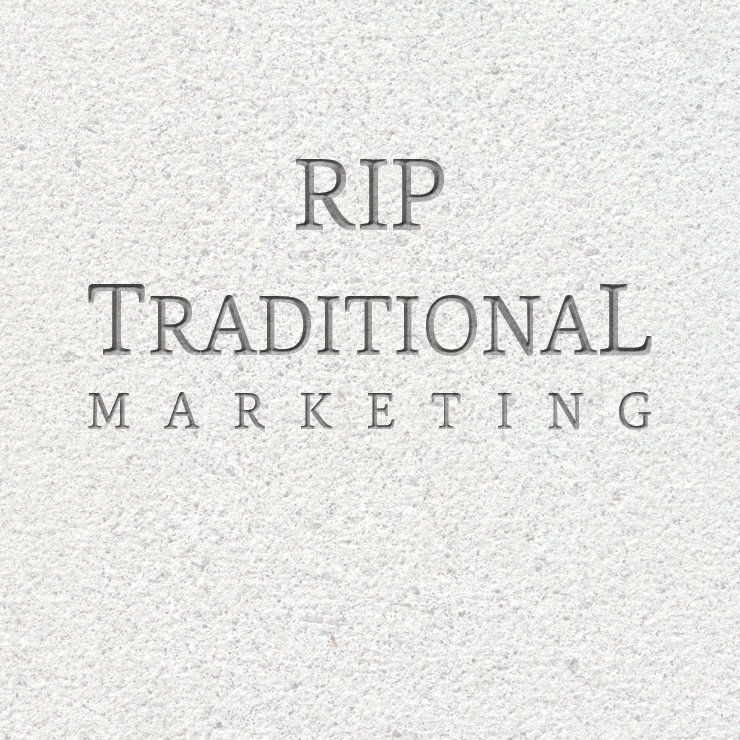 While some critics have stated that social media and digital marketing will cause the “death of traditional marketing”, the truth is that by adapting both traditional and non-traditional strategies B2B companies can still achieve positive results from non-digital marketing such as PR. Gone are the days when a traditional PR approach could be used as a stand-alone marketing strategy for businesses across any industry. The truth is digital marketing has become so essential and normal in the B2B marketing world that it can no longer be seen as an additional service for businesses looking to promote their brand services or products to a technologically savvy audience. With fewer journalists now sitting in newsrooms and a number of trade magazines moving towards a digital-led approach, an adoption of digital marketing can offer a significant advantage in a competitive B2B market. While some companies simply opt for submitting a feature article to a single B2B publication they are being outdone by businesses that are thinking beyond the submission to the magazine or journal. Businesses should now be sharing a said article on social media using key content from the editorial to write a blog creating a video demonstration of the products they have mentioned in the feature, or even designing an infographic based on statistics picked from the copy in order to gain maximum ROI from one piece of content. It is such an approach that is fast becoming the future of B2B marketing. In order to maximise the ROI of their marketing strategy, the Internet is becoming a fundamental tool for businesses looking to engage directly with potential customers. Traditional marketing techniques such as public relations whilst still valuable for lead generation and sales must be integrated into a wider strategy that takes into account elements such as social media, content marketing and digital marketing. By integrating such approaches businesses are getting full value for their marketing expenditure. While this strategy may sound time-consuming and arduous for a modern day business thanks to industry-leading tools social media posts can now be scheduled months in advanced meaning a plan can be put in place and implemented all within a day. Due to having the majority of copy in the feature, it is easy to cherry-pick key points facts and figures to re-work into an alternative content. Although new digital platforms are offering countless opportunities for businesses across a range of sectors traditional approaches such as public relations product demos case studies and email marketing are still valued by customers throughout the B2B sector. Studies have revealed that 64% of B2B Tech customers report that they read between two and five pieces of content prior to making a purchase while the estimated average return on investment from email marketing has increased by 16% since 2012 (£21.48 to £24.93 per £1 spent). With this in mind, companies must take an integrated approach combining both traditional and digital means in order to remain ahead of their competitors. There has been much debate in recent years about the impact of digital advances on traditional marketing strategies such as PR. Certainly, a shift has taken place in the B2B sector as social media platforms and technology have redefined the approach businesses take to engage and influence potential customers.